We decided to walk over the rainbow bridge into Canada one night just so we could see the falls all lit up. 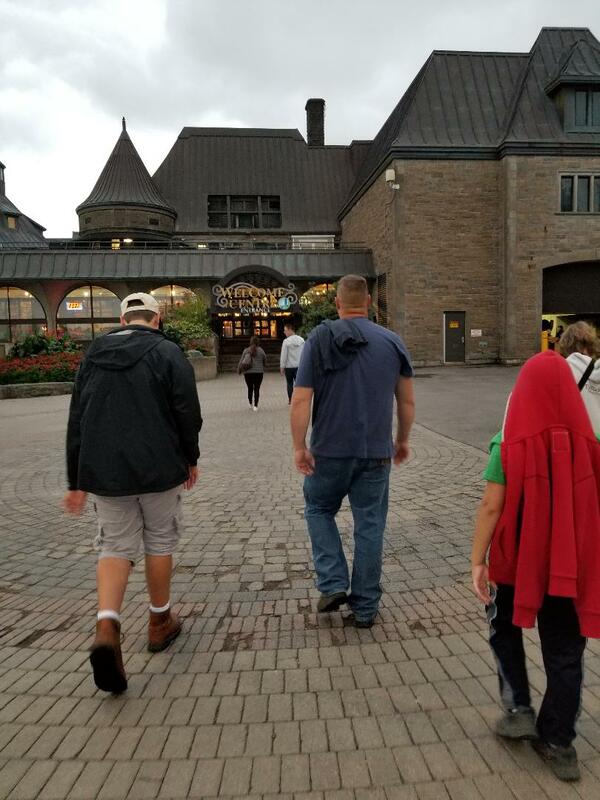 We parked in Niagara Falls State Park in New York, walked across the bridge and through customs, and all the way to the Niagara Falls welcome center in Canada in under half an hour. 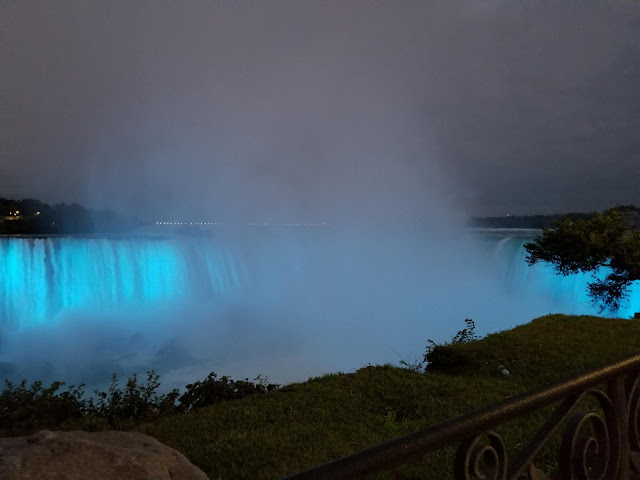 The falls are best viewed from the Canadian side and we waited anxiously for it to get dark enough to see all the lights that they project onto the falls. We could not get over how beautiful the Canadian side of the falls were. Niagara falls state park on the New York side is quite nice but the rest of the city is really falling apart and feels neglected and abandoned with empty boarded up buildings everywhere. Not so on the Canadian side! Everywhere we looked we saw gardens, flowers, fountains, and thriving businesses. 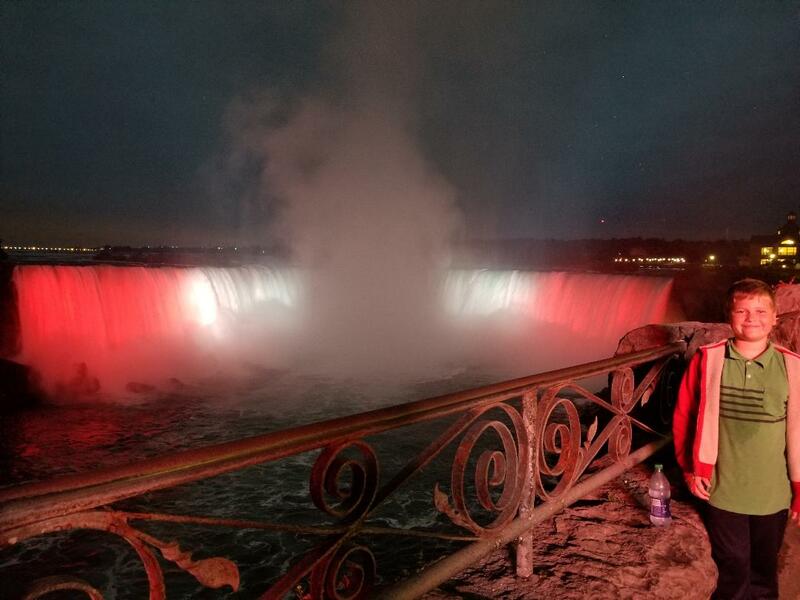 My mother in law offered to take our picture in front of the falls and a woman walking by offered to take one with her in it too. 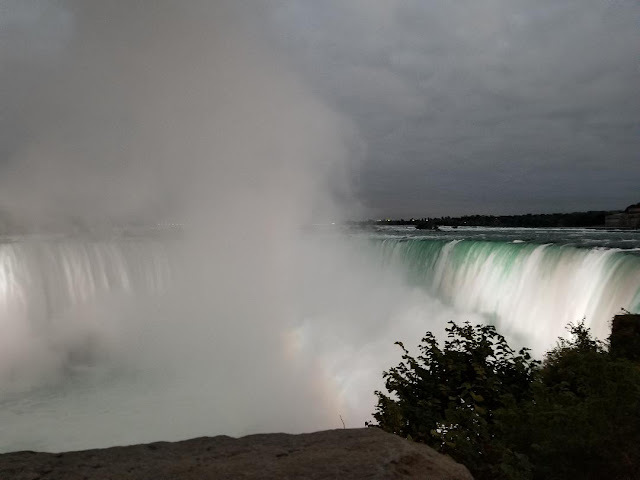 See the rainbow at the base of the falls? Evan wanted his photo taken with the Canadian falls with their red and white flag projection on it. Once we had seen our fill we began making our way back to the United States. When we were about half way across the bridge the fireworks started. We had heard that fireworks were only set off this time of year on weekends but we figured the United States was setting them off in remembrance of 9/11. We stopped to watch the display before continuing on. (Sorry the photos are blurry; it's hard to get photos at night). 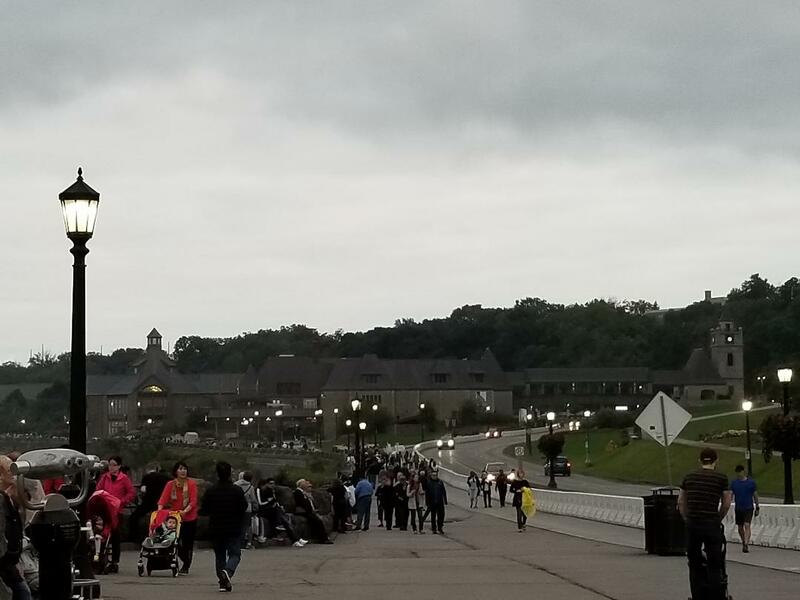 We hit Niagara Falls on Independence Day, and it was SO chaotic, but lovely. We enjoyed the fireworks and the lovely cross-cultural experience of so many languages being spoken there by the other visitors. We were lucky that it really wasn't crowded but there is a lot of diversity. We had lunch one day next to a family from Germany. And the boys and I often tried to figure out where people were from by the languages they were speaking. Oh how beautiful! 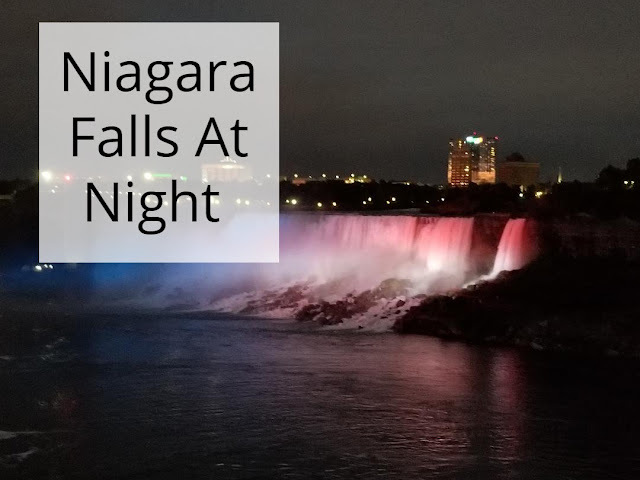 Niagra Falls has been on my bucket list for many years, but I'm now adding Niagra Falls at night! I can't even imagine how spectacular it must be in person! 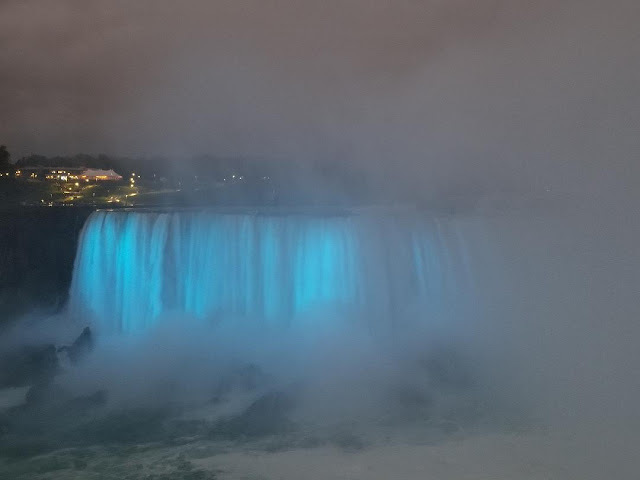 As much as they look amazing it's the unbelievable sound of the water crashing over the falls that is just impossible to capture. Oh wow, I would definitely want to see Niagara Falls. Thanks for sharing the pictures! It is so neat to see! Yeah, it's pretty magical to watch the colors changing. Wow that rainbow bridge is gorgeous. I've heard the Canadian side is better too! We did know that before heading there but my husband was real hesitant to drive into Canada not knowing what customs would be like. It really is just spectacular in person. 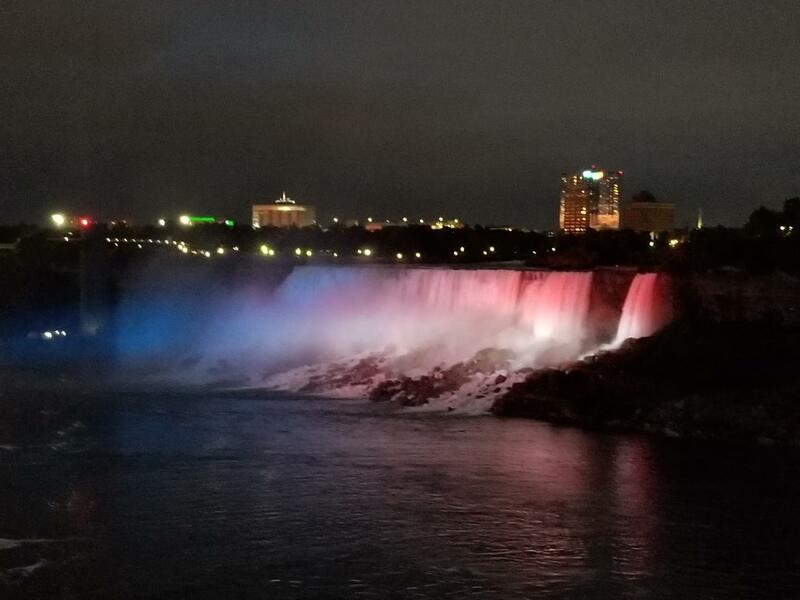 I think at night, all lit up, was my favorite time to view the falls. Wow beautiful! I saw it in the day, but not at night. It is so pretty; I could have stood there for quite some time watching them change colors. I agree - the Canadian side is amazing. You got terrific nighttime shots! These photos are incredible! 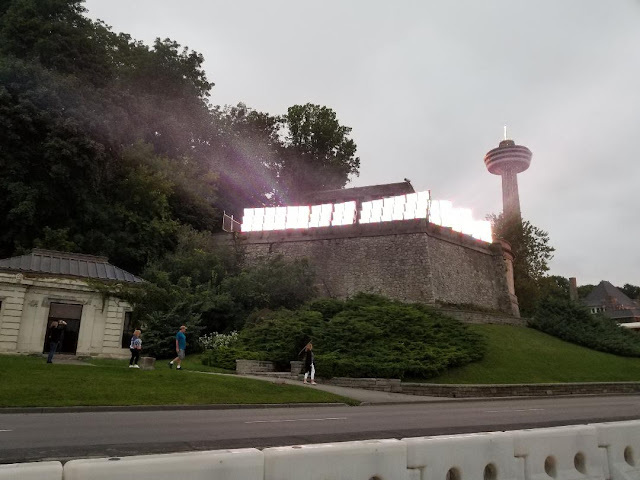 And how helpful to know that the Canadian side is better for viewing at night! 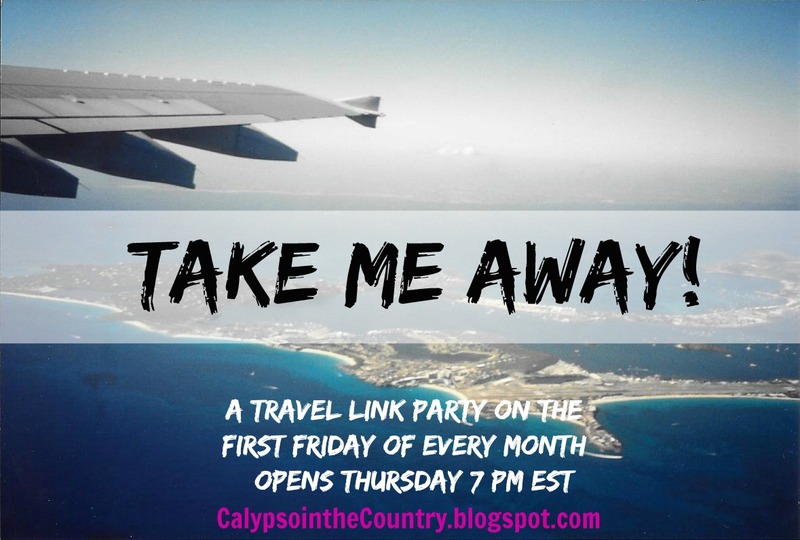 Thanks again for linking up to Take Me Away! Remember to join in again this Friday for the November party!